An accessible, illustrated retelling of Shakespeare's famous tragedy by master storyteller Marcia Williams. 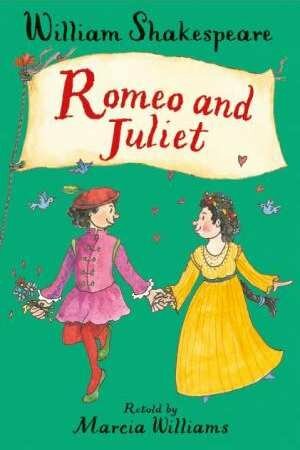 The perfect introduction to Shakespeare's Romeo and Juliet for children, written and illustrated by master storyteller Marcia Williams and featuring Shakespeare's own dialogue. When Romeo falls in love with his enemies' daughter, Juliet, he hopes their love can stop the feuding between their families. But soon their lives are in danger, and they must risk everything to be together..